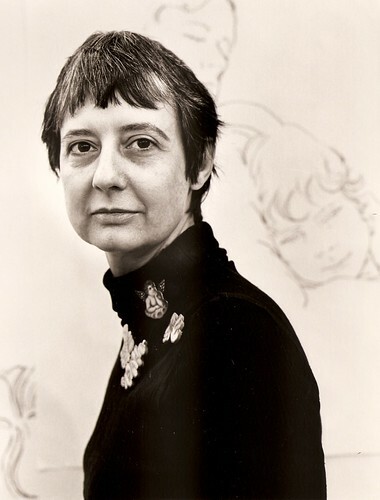 My mother, Eleanor Creekmore Dickinson, has been an artist all of her life, including teaching for decades as the Professor of Life Drawing (and Gallery Management Program Director) at the renowned California College of the Arts (in Oakland and San Francisco). She has been creating in one medium or another pretty much daily since she knowingly composed her first photograph in 1941 at the age of ten. 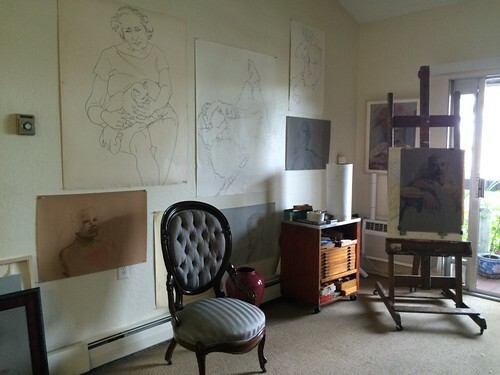 Even though she sells pieces regularly, this still makes for a huge collection of artwork – many thousands of framed and unframed works (mostly on paper or fabric). After my father Wade Dickinson passed away in 2011, we moved Eleanor and her art from San Francisco to San Jose. For the last year, I have been working with my mother and brothers Pete and Mark, advised by an Estate CPA and an Estate Planning Attorney as well as experts in art, to set up a charitable Art Trust to maintain and manage my mother’s collection. Art is very complex in terms of taxes and valuation, and we want to get this business sorted out while our mother can be actively involved. I was very happy to finally get most of the Eleanor Dickinson Art Trust paperwork signed last week. In addition to managing the business side of Eleanor Dickinson’s work, we also want her art to be exhibited – to be seen and enjoyed and not just kept in storage. 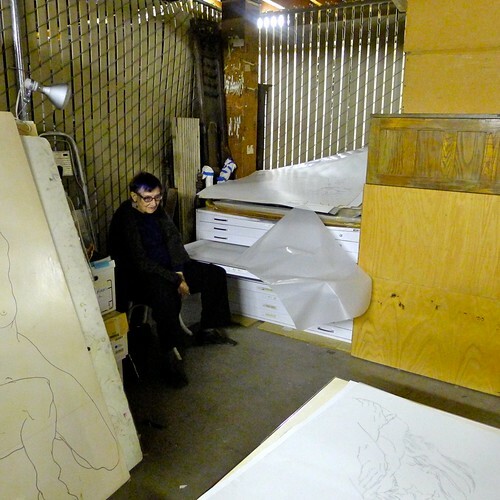 However, even setting up a small local art show takes weeks of work for both the artist (or her family) and the gallery, museum, or exhibit space. Many shows require special framing, shipping, documentation, and insurance, all of which take time and money. We know from experience it can take many years of negotiations to donate an art collection to a museum or university. Within my mother’s larger collection, there are many sub-collections, including: Old Testament drawings, dream pictures, crucifixion velvets, animal portraits, plus drawings and photos and artifacts associated with Revival! and her other big traveling exhibits. We have set up the new Art Trust so that sales of art can pay the insurance and exhibit costs for the collection long-term. We hope that our mother will be creating new art for many years to come. We are doing our best to care for it!